"Even without success, creative persons find joy in a job well done. Learning for its own sake is rewarding." — Mihaly Csikszentmihalyi from Creativity: Flow and the Psychology of Discovery & Invention, 1996. Mihaly Csikszentmihalyi is a psychologist who created the concept of flow. He is particularly known for flow psychology and positive psychology. Mihaly Csikszentmihalyi (pronounced me-HIGH chick-sent-me-HIGH-ee) was born in Fiume, Italy, now Rijeka, Croatia, on September 29, 1934. Growing up, he was fluent in Hungarian, Italian and German. During World War II, he spent time in an Italian prison camp where he discovered chess. He found playing chess to be an excellent way to divert his attention away from what was happening around him, something he believes helped him fare better than many others. At age 16, he traveled to Switzerland where he had the opportunity to listen to Carl Jung speak. The experience had an influence on him. He later explained, "As a child in the war I'd seen something drastically wrong with how adults—the grown-ups I trusted—organized their thinking. I was trying to find a better system to order my life. Jung seemed to be trying to cope with some of the more positive aspects of human experience." After studying books by Jung and Freud, Csikszentmihalyi decided to immigrate to America at the age of 22 in order to study psychology. He attended the University of Chicago where he earned his B.A. in 1960 and his Ph.D. in 1965. In 1969, he returned to the University of Chicago as a professor where he continued to work until 2000. Csikszentmihalyi is best-known for his theory of flow, which he outlined in his seminal 1990 book Flow: The Psychology of Optimal Experience. According to Csikszentmihalyi, people are happy when they are in a state of flow, a type of intrinsic motivation that involves being fully focused on the situation or task. He describes flow as "being completely involved in an activity for its own sake. The ego falls away. Time flies. Every action, movement, and thought follows inevitably from the previous one, like playing jazz. Your whole being is involved, and you're using your skills to the utmost." Mihaly Csikszentmihalyi's theory of flow has influenced people in a wide range of fields. Former U.S. President Bill Clinton and former British Prime Minister Tony Blair were reportedly influenced by his book Flow: The Psychology of Optimal Experience. Jimmy Johnson, former coach of the Dallas Cowboys, utilized Csikszentmihalyi's ideas to prepare for the 1993 Super Bowl. Csikszentmihalyi's ideas have also influenced people in business, government, education and the arts. Csikszentmihalyi, M. (1975). Beyond Boredom and Anxiety: Experiencing Flow in Work and Play, San Francisco: Jossey-Bass. Csikszentmihalyi, M. and Csikszentmihalyi, I. S., eds. (1988). Optimal Experience: Psychological studies of flow in consciousness, Cambridge: Cambridge University Press. 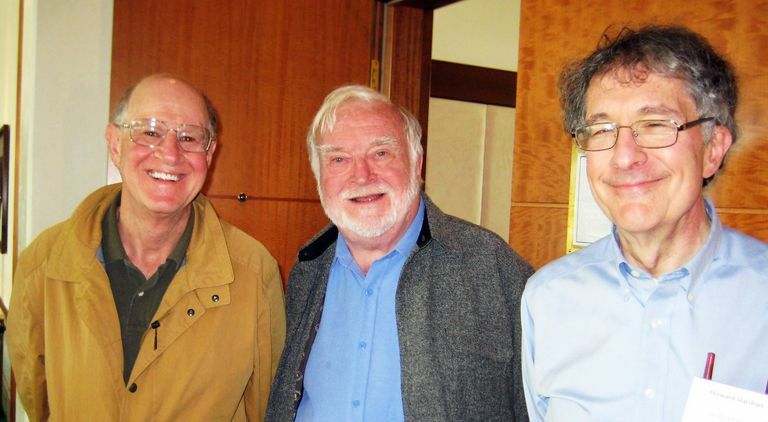 Gardner, H., Csikszentmihalyi, M., and Damon, W. (2002). Good Business: Leadership, Flow, and the Making of Meaning. Basic Books. Cooper, A. (1998). The Man Who Found the Flow. Shambhala Sun. http://www.shambhalasun.com/index.php?option=com_content&task=view&id=1942. Encyclopedia of World Biography. (2006). Mihaly Csikszentmihalyi. Michigan: The Gale Group. Sobel, D. (1995). Interview: Mihaly Csikszentmihalyi. Omni 17(4), 73.